Should you find any of the links not working properly, kindly message me: (1) the title of the section (2) the project that was linked. Thanks. Korean is like my 57th language aka I ain't fluent at all >> Good thing there's an international fan club to save you. I can't find english translated interviews about him! >> The horror, we archived it here for you! I want to see Youth Over Flowers but I can't find the english subs >> Copyrights are annoying af, right? What's more to love about Yoo Yeon Seok? >> Oh baby, fret no more. What's the latest, what's 411, or the kids like to call it what's happening in the hood with YYS? >> Twitter and Facebook will keep you updated fosho. Ahn Yeon-seok lived in Seoul until he was six years old and his family moved to the South Gyeongsang Province because his father, a professor of selenodesy, was posted at a national university there. In his junior year in high school he decided to take up acting, so he followed his brother, who was studying another year to enter university, to Seoul and they lived together near the district of Samseong-dong. While taking acting classes, the high schooler met a friend who would later work on the costume staff of film director Park Chan-wook. Remembering that he resembled actor Yoo Ji-tae, she gave him a call about auditioning for a role. So without having to pass out his resume, he made his acting debut as Yoo's younger counterpart in the acclaimed 2003 film Oldboy. Upon graduation from Sejong University with a degree in Film Arts, he resumed his acting career in 2008. 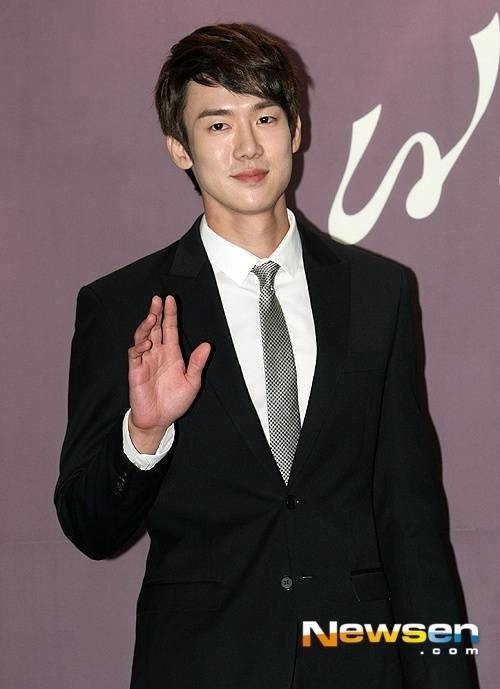 At his agency's recommendation, he began using the stage name Yoo Yeon-seok. He took on supporting roles on television, such as the haughty student body president in the horror series Soul and more appealing characters in medical drama Midnight Hospital and Tasty Life. But Yoo received his best reviews yet for playing a sensitive ex-boyfriend searching for his child in indie Re-encounter. Soon after he became known to mainstream audiences as the rich and spoiled antagonist in the box office hit melodramas Architecture 101, and A Werewolf Boy. He further raised his profile in 2013, with comedy film Born to Sing and the fantasy series Gu Family Book. Yoo's recently-completed project was the nostalgic campus drama Reply 1994, his first leading role on television. 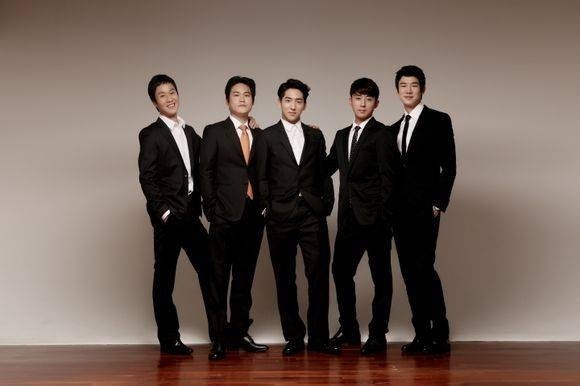 Since Reply 1994, he was signed to star in 4 movies namely, The Informant (Whistle Blower) with Park Hae Il; The Royal Tailor with Han Suk Kyo and Go Soo; Secret Temptation (Perfect Proposal) with Im Soo Jung; and The Atmosphere of that Day with Moon Chae Won. In 2015, Yoo Yeon Seok returns to the small screen with the drama, Warm and Cozy, written by the Hong Sisters (The Master's Sun, Best Love). He went back to his theater roots and played the protagonist in Le Passe-Muraille ("The Man Who Walked Through Wall"). This 2016, he will be starring in a period set drama alongside Han Hyo Joo entitled, Haeuhhwa, and at the same time have a new variety show called WE KID in MNET. Trailer (Korean, English Subbed). Relevant tidbits. Trailer (Korean, English Subbed). Soompi Thread. Shipper Thread. Drama recaps. Relevant Tidbits. Trailer (Korean, English Subbed). Soompi Thread. Drama recaps. Relevant Tidbits. Trailer (Korean, English Subbed). Soompi Thread. Relevant Tidbits. English Subbed. Soompi Thread. Other tidbits. Yoo Yeon Seok why so handsome!!!!! Honey-G's 'You Fool' (바보야) feat. 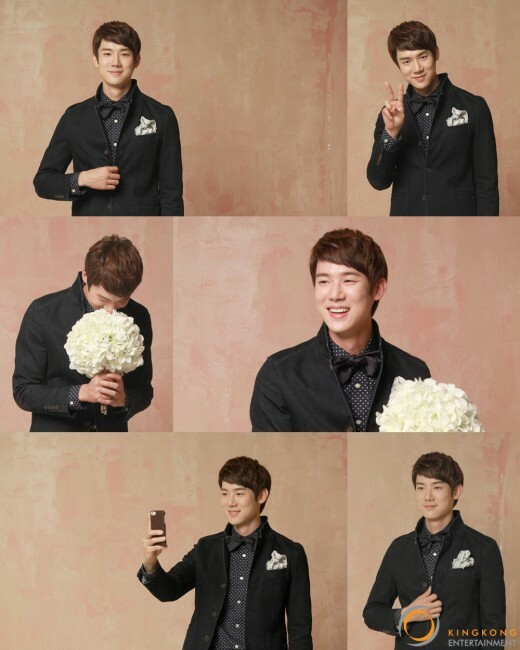 a most adorable Yoo Yeon Seok! He really has that sweet, I-adore-you gaze down like a pat...I totally am imagining Chilbong here LOL. Interesting movie he was in, called Hoya (Eighteen, Nineteen)! It rather reminds me of the Japanese "Boklumo", about fraternal twins who have romantic feelings for another. In this, Yeon Seok is the male twin named Hoya; his sister confesses she likes him, but when he doesn't respond she goes out with another male boxer in the school. Eventually she is hurt due to him and to get revenge, Hoya begins to learn to box and eventually faces the very person that hurt his sister. For someone who can do that endearing, break my heart why don't you, foolish, happy look of a puppy crush so well...and be such a sensitive man...he's play an awful lot of jerky richard simmons characters in other films, haha. In celebration of this thread which I have been EAGERLY waiting to start, I would like to hand out some gifs. Here, YOU get an ab, and YOU get an ab, and YOU get an ab! EVERYBODY GETS SOME OF YYS'S ABS! YAAAASSS this Chilbong cheerleader is totally HERE. FOR. THIS. This thread was long overdue so thank you @8001spring for starting this thread! @POGA Dat plot twist tho! Hahah, all this time I was thinking this girl is being so silly, why the heck is she trying to ignore his awesomeness?!?!? 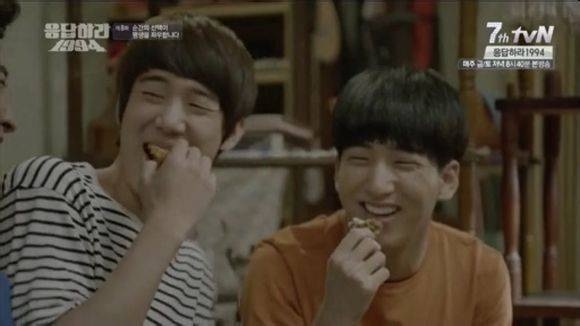 I hope a nice surprise like that is in store for his character in Reply 1994! @chilbongsgurl94 HAHAHA oh man, but there could never be enough Chilbong's abs for everyone! That had better not be the last shirtless scene we get in the show! I've seen some of his past projects like, Hoya, Architecture 101, A Werewolf Boy, and his most recent Gu Family Book. I didn't love or hate his character in Gu Family Book, but I felt that he was a waste of talent because his character didn't go anywhere. I absolutely despised him in A Werewolf Boy and didn't really remember much of him in Architecture 101, he was cute and timid in Hoya but didn't make my heart flutter as much as he has been in Reply 1994. If it wasn't for Yoo Yeon Seok I probably wouldn't have started watching Reply 1994, I wasn't going to bother with it since I wasn't familiar with the casting but when I heard that he was confirmed I was on board! And boy am I really loving this man ~ Really can't wait for Friday to come along! I actually made zero connection between his name and the various characters he's played. So I've been pleasantly surprised by just how easily he's won me over as Chilbongie. It's definitely part writer/PD team but a lot of it is also Yeon Seok's natural charm and smile. He's really come into the character because I do remember cringing (but also cooing) at that awkward table scene in Ep 4 where he was laughing at Najung LOL. That actually might have been the moment he won me over. I can't wait to see Chilbongie evolve as a character, because I believe Yeon Seok is more than capable of delivering. I want to see Chilbongie angst and some more RAWR moments. And I just know he'll have me crying buckets of tears if ever they delve into his family storyline. Also - I love how ... unconventionally pretty he is. HAHA. Like, I find his features very distinct and unique and it confuses me how a change in hairstyle can make him look quite different. @PBJayism Oh hey gurl heeeeyyy!! 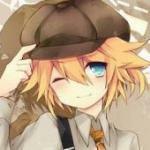 "Also - I love how ... unconventionally pretty he is. HAHA. Like, I find his features very distinct and unique and it confuses me how a change in hairstyle can make him look quite different"
Hahaha that made me laugh because I don't get it either! Just wanted to contribute a little gif appreciation! I'm so excited to see the competitive athlete in him come out though. OMG. Don't ever say he didn't try. I think that's what I love most about him and what sets him apart from the standard cookie-cutter "2nd-lead male". Yes, he's nice and "perfect" but he's also assertive and goes for what he wants and isn't going to easily back down (yet). DUUUDE don't get me started. I don't know if you've read/seen any spoilers regarding future scenes but they are giving me so much life right now. I cannot wait! And at the risk of coming off as a little sadistic, I am lovin' the angsty Chilbongie scenes we are getting now. This can only mean we're in for more heartbreak but Show, bring it on! Cuz it'll make the payoff all the more satisfying when Chilbong is finally revealed as the husband. Although come to think of it, I thought he was super attractive when tossing the ball in a white shirt too...maybe because you can tell how much baseball is his passion and how much dedication Chilbong puts into it, which makes him during baseball practice/games all the more attractive - perhaps less the outfit, and more the pure intensity of focus. Oops. I guess that last one isn't technically "in uniform", huh? Found another MV starring uri Yeon Seok-ie! Anyways guys, it's now Friday in S. Korea which means a little more than 13 ish hours to go before we get our dose of Chilbongie goodness! candid59 said: Found another MV starring uri Yeon Seok-ie! Also, anyone can clarify what are the general implications of being a film actor rather than a drama actor, as YYS seems to be? Like in terms of acting skills, popularity with fans, CF deals etc?? @chilbongsgurl94 welcome sistah! Glad you found us here where you can rave all you want to your heart's content! I've more than touched upon in the R94 thread why I love Chilbong and why I am so invested in his story. But I'd also like to add that I love the little nuances and subtleties that are revealed about his character with each episode, apart from the flashes of mischief, vulnerability, and rebellion we've seen from him thus far. Take for instance the baseball game scene at the end of episode 7. I mean the star pitcher just gave Na Jeong the game's winning ball and she is understandably touched. Who wouldn't swoon at such a grand gesture? But in contrast to Oppa Trash giving Na Jeong his sweater at the soccer game, it is only when everyone is gone that Chilbong does it and only him and Na Jeong are present. He wasn't doing it to show off to everyone, he really only had eyes for Na Jeong. It’s hilarious how dad, Hai Tai, Samcheonpo and even Oppa Trash are all starstruck by Chilbong’s little celeb status and Na Jeong’s all “meh, baseball” and yet Chilbong zeroes in on Na Jeong being all over basketball and uses that to score points with her. Also, more so than the fact that he was calling her, how cute was it when he told Na Jeong to not leave the fan on when she slept, and even cuter when Na Jeong told him not to kick off the covers in turn? I don’t know why but that little thing just about made my day in the last episode.